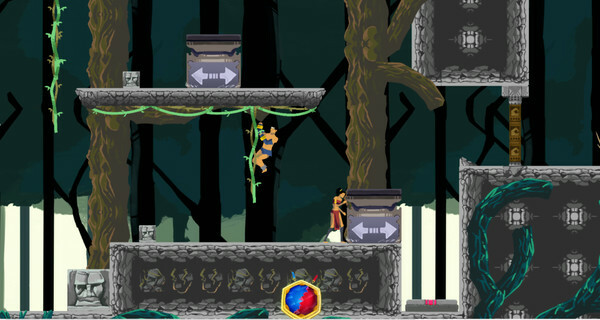 Move two characters at the same time in the game, solve puzzles, and avoid the obstacles. 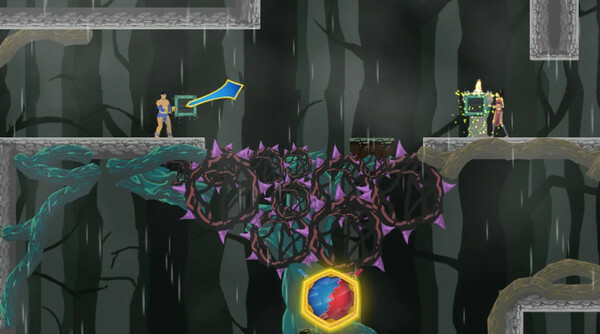 Above: The Fallen is a 2D side-scrolling, puzzle – platformer game that is centered around traveling upwards instead of to the left or right. 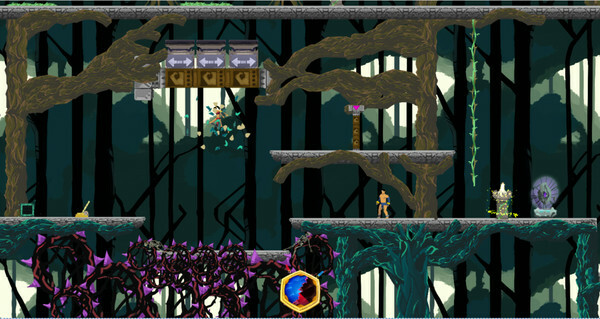 The goal is to climb the trees of an ancient and mystical forest to break through the canopy. 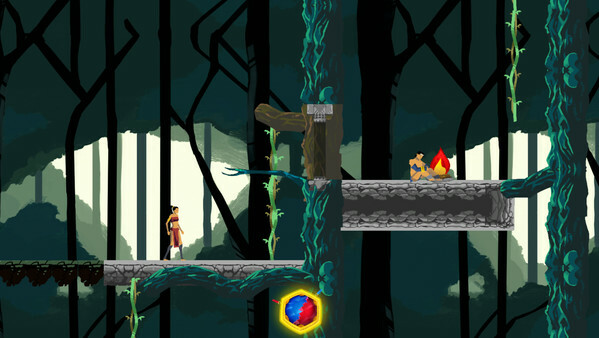 You must manipulate two main characters at the same time throughout the game, solve puzzles, and avoid the hazards of this dark forest. 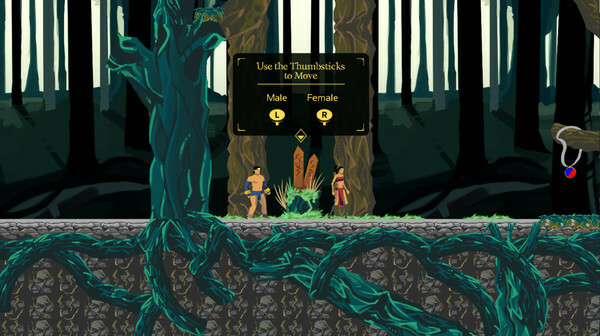 In Above: The Fallen, you play as both the male and female characters at the same time (Single Player Mode Only). 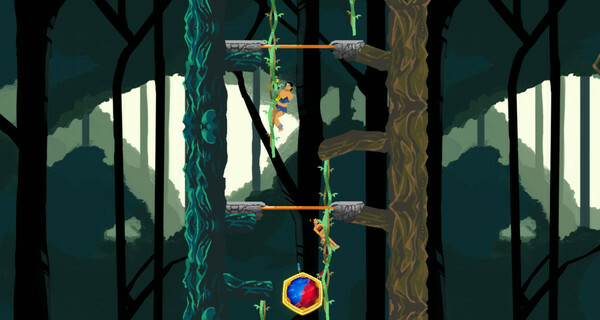 They often find themselves in situations that require them to work together to solve puzzles and progress up to the canopy. 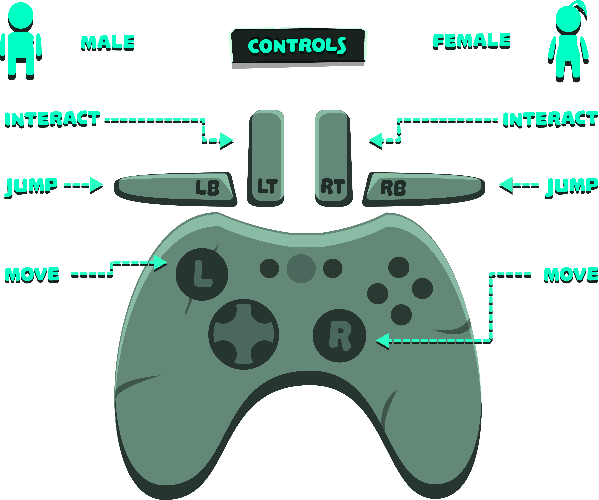 Each character is controlled with one half of the GamePad. This offers an additional challenge and requires you to think about each character’s positioning before moving. If you don’t get the hang of it right away, don’t worry, it won’t be long before you’re climbing through the jungle like Tarzan. Bring a friend along with you as you adventure through the world, solve puzzles and work together to defeat the Night King. Swap back and forth easily from single player to co-op with a push of a button. There are many interesting puzzles that you’ll come across as you play. Some puzzles are solvable in multiple ways which allows for some freedom to explore. Each successfully completed puzzle brings you closer to facing the Night King!